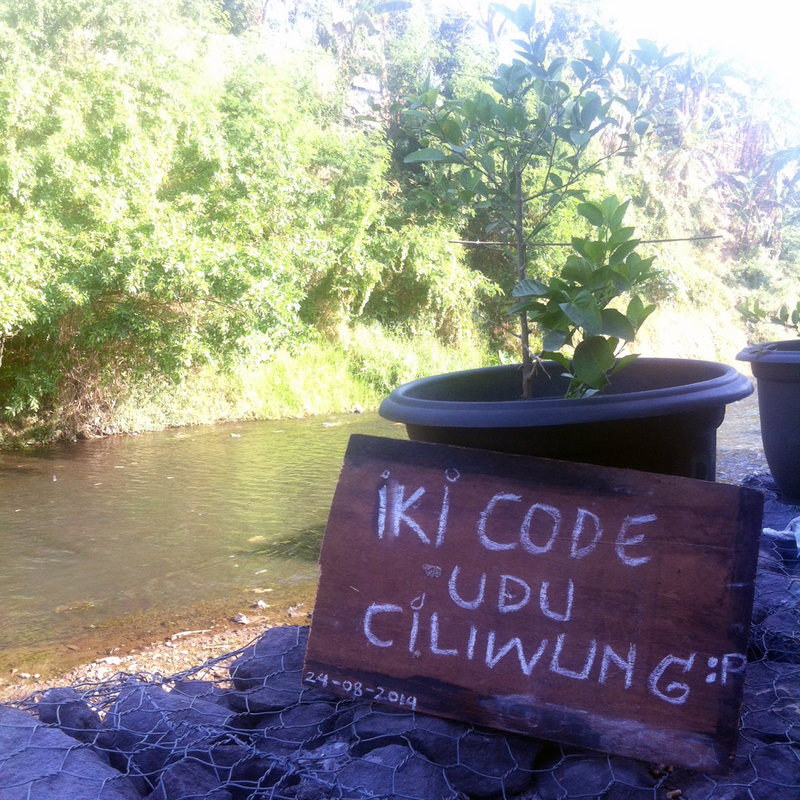 In JRP 2014, water sampling of the river will be implemented from the start point to the end point of the river Code. This method was chosen to obtain the results of the analysis of E. coli contamination in the river Code scientifically accurate so that it can be used as a reference for river conditions. The selection of the sampling points is done by calculating the position and location through map observation, so it is necessary for the field survey determine access to the river and the conditions at the site. By knowing the access and ground conditions, water sampling can be conducted simultaneously with the preparation. 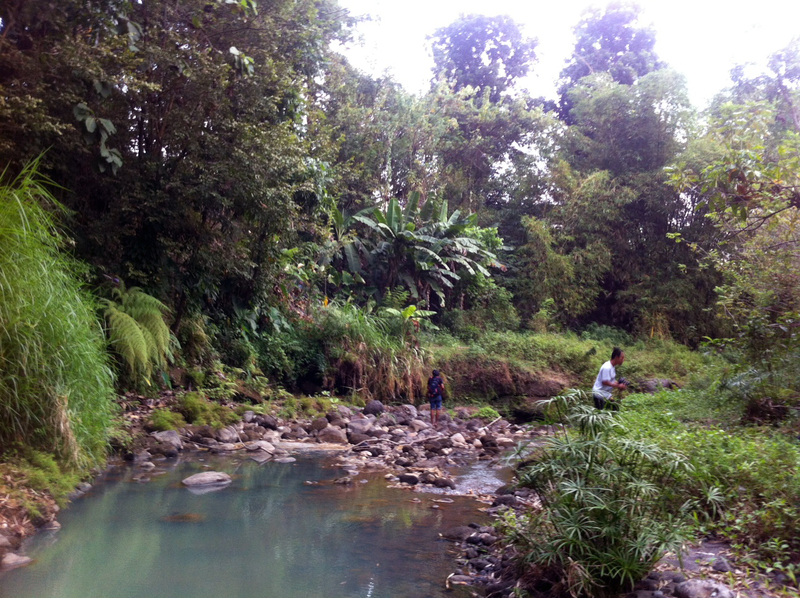 For that Lifepatch led by Agus Tri Budiarto conduct field survey before sampling the river water. 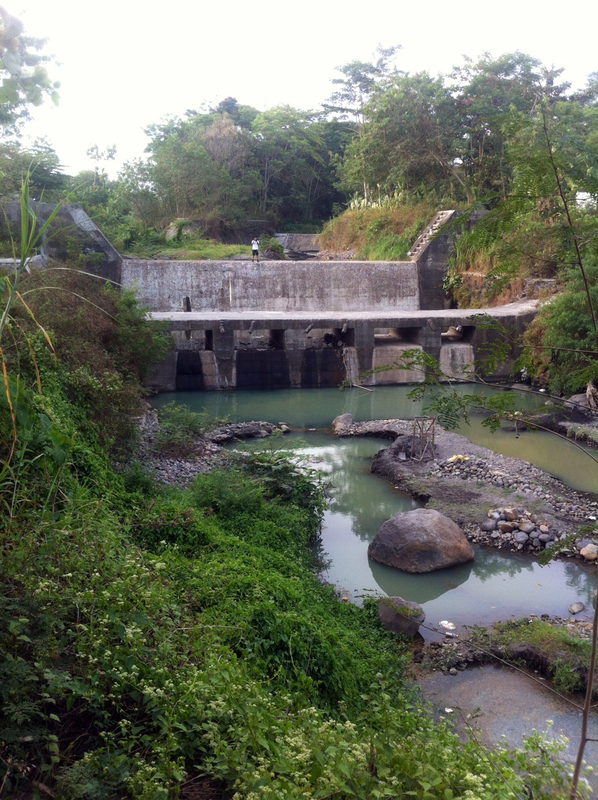 The headwater of Code river located approximately 8 km north from Yogyakarta’s city centre. The water was very still, with greenish colour, showing it’s highly populated with algae. We discovered that after the third point of the Code headwater that the river starting to flow, with some other small spring accumulating the water to Code River. 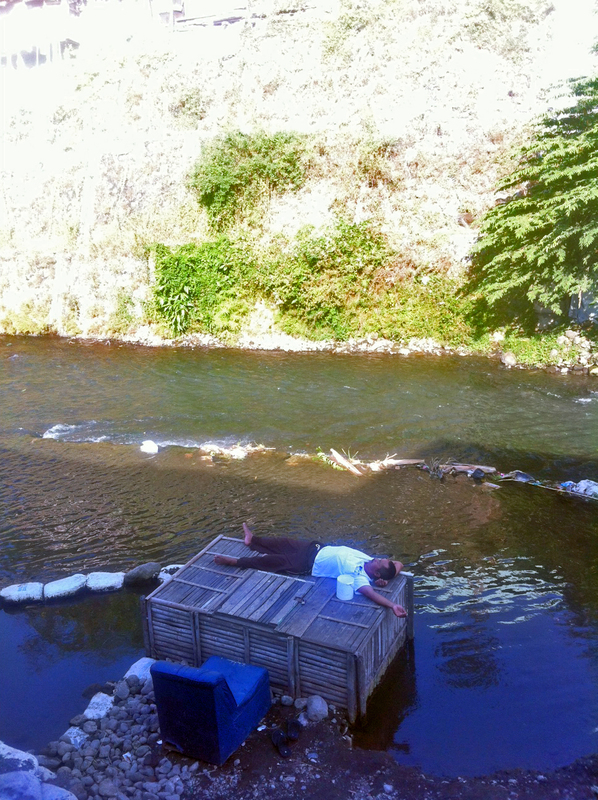 In the riverbanks on the city area, we discovered there are many new keramba built by the citizen. Keramba is a bamboo structure for fish farming that is placed on the river. The new keramba means that the river isn’t polluted with heavy metals which allows living organisms such as fish able to live there. We met some kids swimming in the middle of the afternoon. They also cached a fish during their swimming session. Looks like they are having quite a catch! The river survey took 3 days in total to execute. Timbil was making notes of the accessibility of the water sampling points. 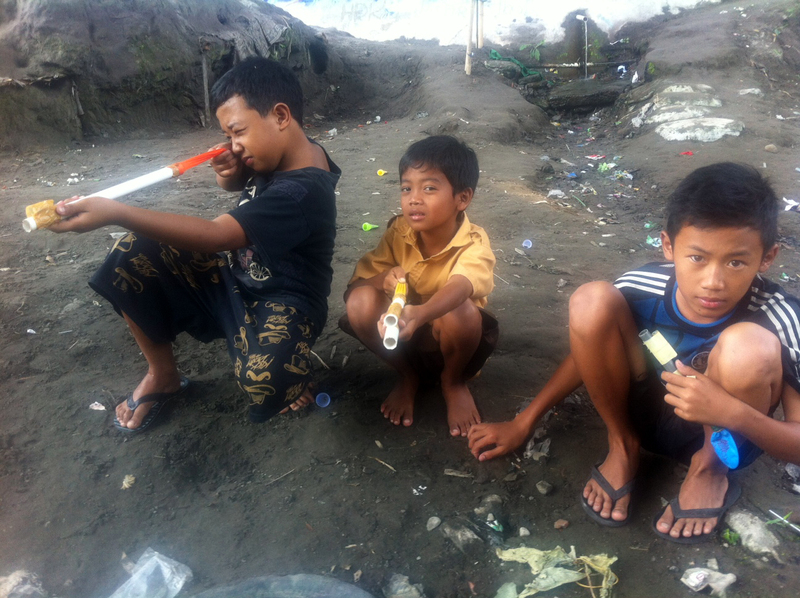 Besides all the work, it was really nice to see the social activities on the riverbanks.